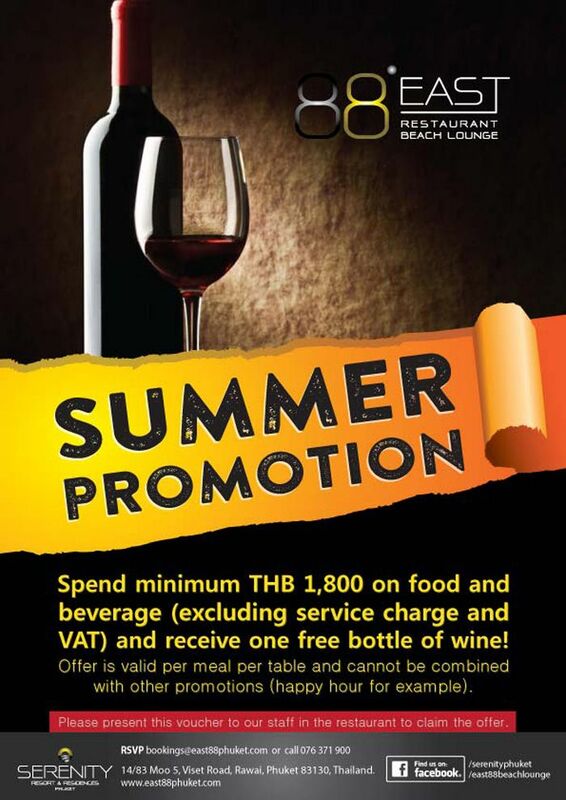 Spend minimum THB 1,800 on food and beverage (excluding service charge and VAT) and receive one free bottle of wine! Offer is valid per meal per table and cannot be combined with other promotions (happy hour for example). Please present this voucher to our staff in the restaurant to claim the offer.